AC Milan are reportedly planning to be busy in the last few days of the January transfer window with three targets being linked with a move. 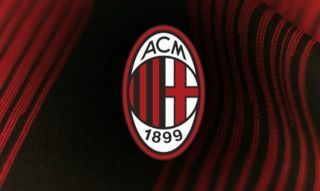 The Rossoneri have already swooped for Lucas Paqueta this month, while Krzysztof Piatek arrived to fill the void left behind by Gonzalo Higuain. Results this past weekend left the Italian giants in fourth place in Serie A, and with Champions League qualification the ultimate objective this season, coach Gennaro Gattuso would undoubtedly welcome further reinforcements this month to help them stay where they are. According to Calciomercato, Arnaut Groeneveld and Yannick Carrasco are being touted as the most likely options to arrive to bolster Gattuso’s options in the final third, with the Italian tactician currently struggling with a lack of quality depth in the wide positions. Hakan Calhanoglu continues to play on the left flank but has disappointed in recent months, while there is a heavy burden on Suso to create from the right. Those two aside, Samu Castillejo has been used sparingly, and so question marks can be raised over whether or not Milan have enough quality in that department. Either Groeneveld or Carrasco could arrive to solve that issue, albeit the former has been injured since October while the latter will have to re-acclimatise to life in Europe given his current stint in China. Meanwhile, Calciomercato also suggest that Napoli midfielder Amadou Diawara could be another target before the deadline, with injuries leaving Gattuso short in midfield in recent months. Although Tiemoue Bakayoko has stood up and impressed to cement his place in the line-up, the heavy minutes that he and the likes of Franck Kessie have played could catch up with them in the latter stages of the campaign. With that in mind, it perhaps makes a swoop for Diawara a sensible one, but whether or not Napoli are willing to allow him to leave for another Serie A side is another debate entirely.